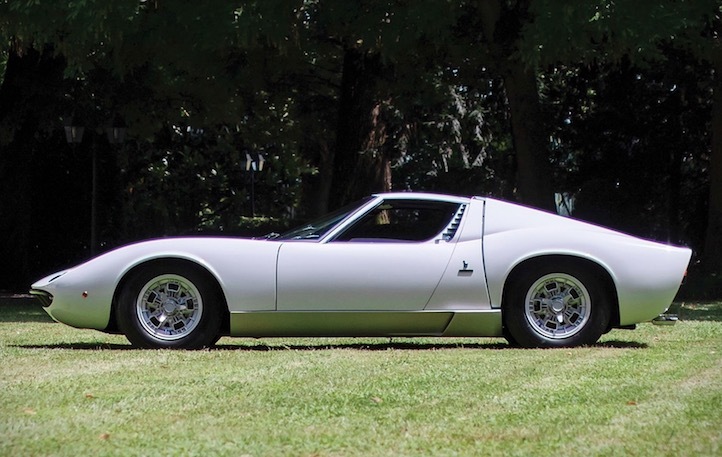 Behold: the 1970 Lamborghini Miura P400S Bertone, and not just any old Lamborghini Miura P400S Bertone. 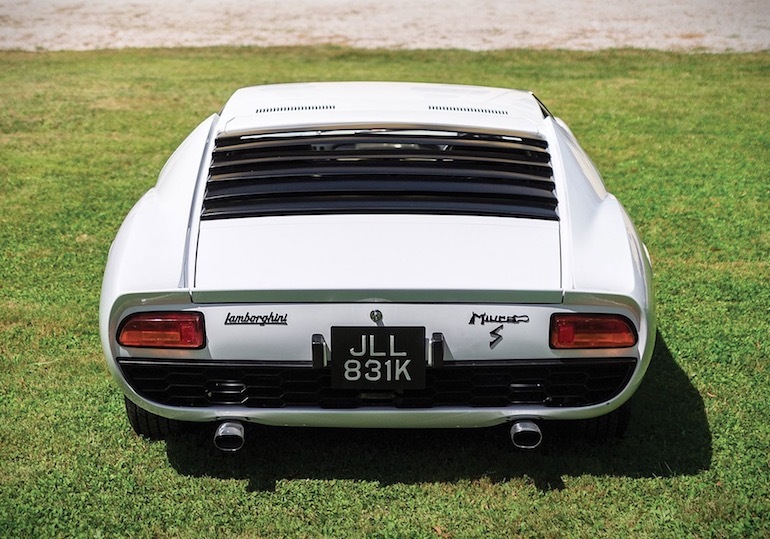 Rod Stewart’s Lamborghini Miura P400S Bertone. 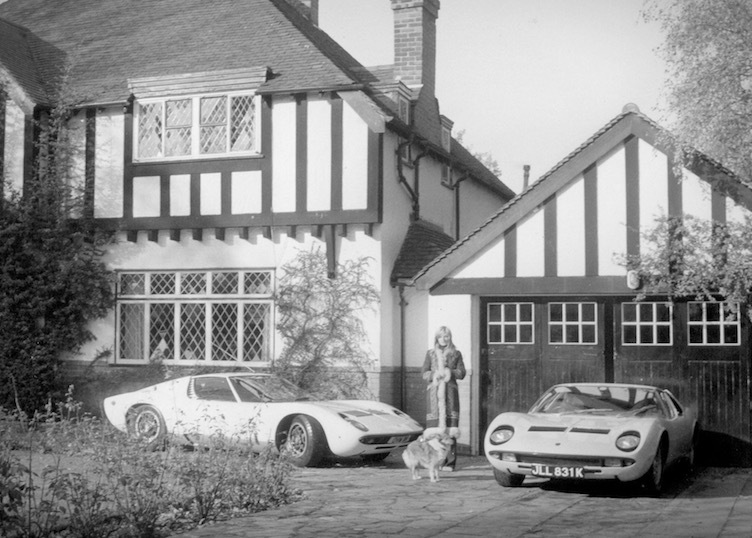 Well one of them – he had two (both parked outside his home in Southgate in 1970 in the photo above), each sold on after a few years of ownership. 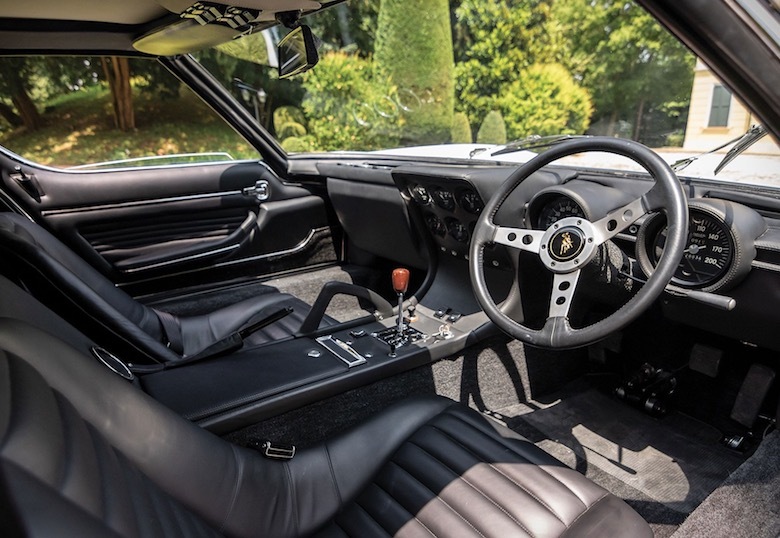 With a full €400,000 Polo Storico in-house restoration, the car is presented in its original state. You certainly may. For upward of €1.54 million. 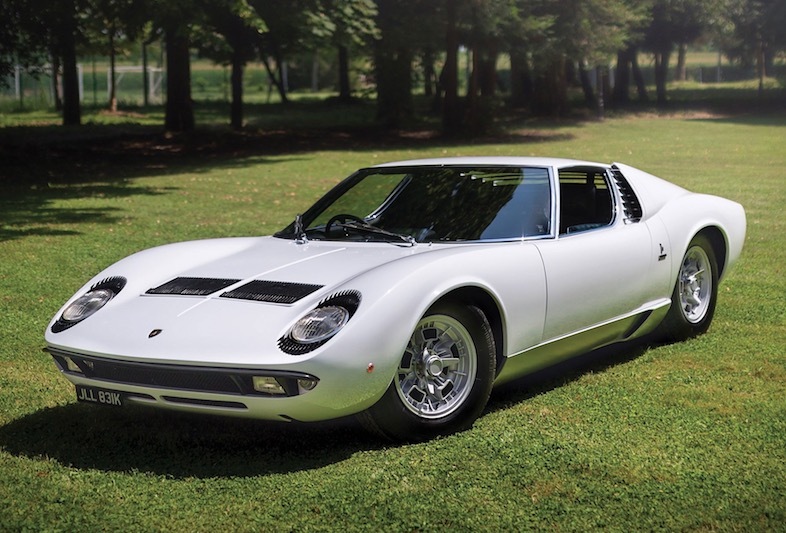 Posted in Design and tagged Lamborghini Miura, Rod Stewart at 12:58 pm on August 2, 2018 by Chompsky. I like aul Rod. I used to be able to hear his patter from my old gaff when he sang in the RDS. He’s funny and he has some belters of tunes. His autobiography is one of the funniest, most entertaining books you’ll ever read. They should have restored the yellow one he used to cruise Kensington High Street in while his missus shopped in Biba. Must have sold it on after somebody nicked his wing mirrors.. I never knew he lived in Southgate! I’m going to have a look at all the houses on that road now to see if that house is still there, as a lot of them have been knocked down and replaced over the last few years. I had a look on Google Earth, and the house was still there in 2009, could well be gone now though….